These guys have certainly got it right, although I really have to argue that they meant to add “sportswomen” too…. 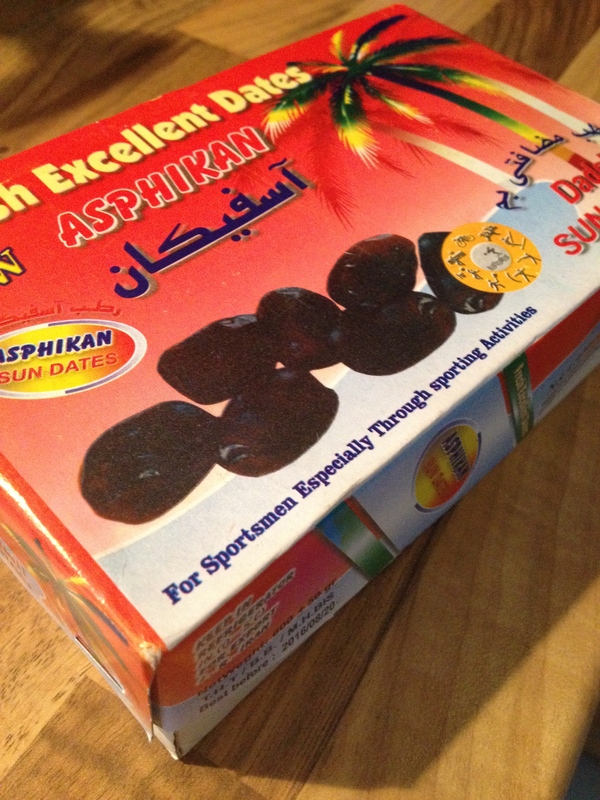 Dates are packed with natural sugars so are the perfect instant energy hit. They are high GI, which means that they cause an almost immediate but short-lived peak in blood glucose – ideal to get you through a sprint or short bout of training. Dates are also a great recovery carbohydrate, topping your glycogen levels back up following exercise. Don’t forget to have a bit of protein alongside your post-exercise carbohydrate to aid recovery. 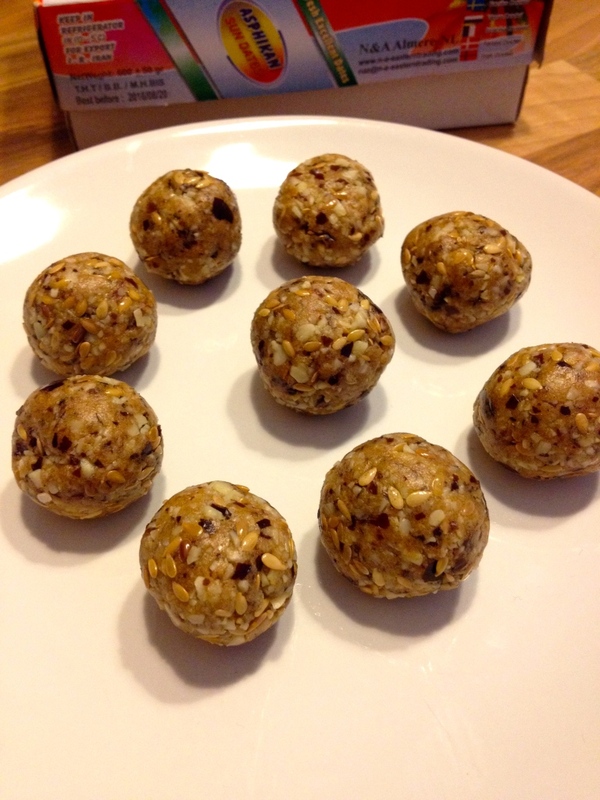 These recovery bites are ideal, combining protein in the form of whey and nuts with energy boosting dates. Blitz the almonds until they become a coarse powder. Add the dates and coconut oil and pulse to combine. Add the protein powder and flaxseeds and blitz everything together until it forms a sticky dough-like mix. Roll into balls with your hands, arrange on a plate and chill in the fridge to harden up. Posted in Good foods, Recipes, Sports Nutrition and tagged carbohydrate, dates, energy, exercise, fruit, post-exercise, protein, recovery, snack.